As one of the leading equipment rental company, we provide Building Crane Rental Services mobile cranes services to our customers. For this service we have pick and carry mobile cranes which have a capacity from 8 tons to 20 tons. 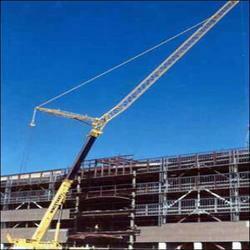 We make use of mobile cranes from some of the renowned companies such as Voltas, Escorts, Omega and Ace constructions.